Ada Street is a variety of one, two and three bedroom apartments located in London Fields. This area, most well know for its laid back, bohemian scene, proudly promotes its eclectic architecture and a growing, vibrant social scene. Reminiscent of a picturesque village, this beautiful residential area offers the perks of London living, with all of the luxuries of a suburban lifestyle. Aside from being on the fringe of the action, these developments are just a few miles from the Olympic Village and Stratford, which has seen a huge investment in regeneration and enabled a stable growth in property, despite the economic situation. 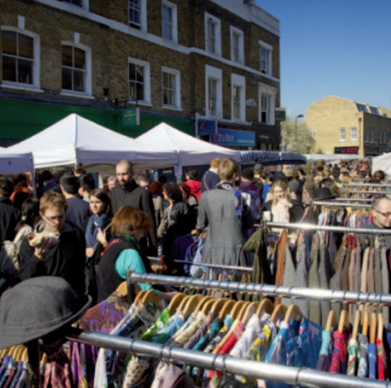 Ada Street is situated just off Broadway Market, which runs directly onto the open spaces of London Fields. Its prime location is no more than a minute from both the canal and Market, where time can be spent relaxing and shopping. Here you will find your local amenities, which range from boutique shops to coffee houses, supermarkets and local pubs. The close proximity of neighbouring and equally appealing destinations such as Victoria Park, Hoxton, Shoreditch, The City and of course, The Angel make for an exciting and enviable location to live.